Sorority Rush 101- Party When, Party Wear? 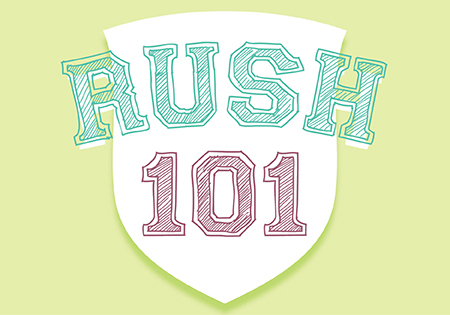 Q: I am going through fall rush and the information provided to us gives us a “party schedule” and a specific a dress code for each day of parties. Each day it is very specific and tells us that some days we will all dress alike with a t-shirt and jeans. I’m not sure what to expect and am worried how to distinguish myself on the days we all dress the same. The first day or two of most “rush weeks” across the country is termed “Open House”. It focuses on introducing each house on campus and on the importance of going Greek. These are quick rounds of parties, especially at schools where there are many sorority/fraternity chapters. Luckily, the open house parties are designed as a simple meet and greet, introducing the house and its members to make you feel as comfortable as possible. The houses generally pair you with either someone you know, someone that has been identified from your school or area or someone you have things in common with. We know many schools have made these days “recruitment t-shirt days” with other restrictions on jewelry or accessories. So, you are right, there is little room for making an individual impression with your clothing. Again, you want any impression you make to be a good one, but always within the rules and boundaries set by panhellenic. First, if it is an ugly t-shirt, wear it with pride. Do not embellish, tie, cut it off or tuck in its sleeves. Our suggestion, based upon when and where you have rush, is to wear jeans or shorts with a simple belt. No cargos or cut-offs. Wear solid or simple patterned shorts to match the t-shirt. Wear only blue or black jeans. For shoes, no flip-flops, heels, sequined flats or dress shoes. Think instead: fashion sneaker, ballet flat or espadrille. Accessories, think simple: simple necklace, casual bracelet, ear studs or simple hoops. Not Kendra Scott’s or chandeliers – save those for the dressier parties. Be advised: Your first impression will be filled with loud chants, smiling fresh faces, loud strained conversations, lots of introductions and yes, some polite, yet awkward moments. It’s game on, so practice your good posture, eye contact and best and most confident responses to basic questions. Imagine carrying on a conversation at a loud party with conversations like you would have at your graduation party with your grandparents. For instance, “How was your summer?” Wow, its hot, how do you look so cool? Are you looking forward to your first semester? Do you know what you want to major in? Do you know so and so? So and so tells me you were a “fill in the blank” in high school, will you miss that? You get the picture. A series of questions in rapid succession intended to find a snippet of memorable information to evaluate you and describe you to the house after the party is over. You control this information, with your body language and what you say. Try to control nervous chatter and remember the 3B’s! Open house will be over quickly and we promise you will survive, with only a few days of Ranger training left. Our next post will help you with your fashion choices on philanthropy, skit and preference day! Stay tuned little Rush Rangers! 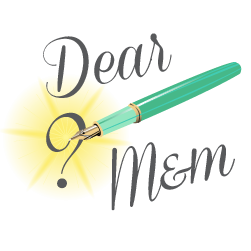 Mimi and Mademoiselle take your questions on manners, morals and more, offering a unique perspective for living well. *Keep it classy and not too long or it is unlikely we will respond!